Jay, Mike & Rich Evans watch and discuss a Star Wars fan-film called Rogue Juan. 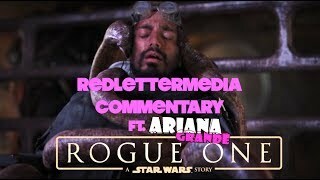 Audio from: https://redlettermedia.bandcamp.com/track/star-wars-rogue-one-a-star-wars-story-commentary-track Visuals from: Rogue One (2016) All rights belong to the mouse and Lucasfilms. 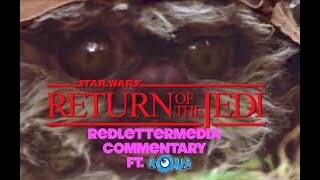 Support RLM: https://www.patreon.com/redlettermedia http://redlettermedia.com/ https://www.youtube.com/user/RedLetterMedia https://redlettermedia.bandcamp.com/audio Also, I had no idea Pepe The Frog was used by the alt-right movement in America, and if I had known, I would not have included him in this video. 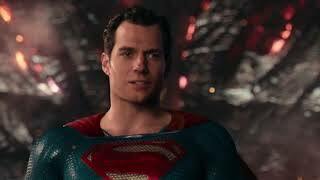 I wanted a sad face in that particular part of the video, and decided to use him because I thought it he looked funny, not because I support any right-wing movements. I don't know much about the political climate in America, and I apologize if I offended anyone by including him. Jay, Mike & Rich Evans watch Alien vs. Predator, from acclaimed director Paul Thomas W.S Anderson. Audio from: https://redlettermedia.bandcamp.com/track/alien-vs-predator-half-in-the-bag-commentary-track All rights belong to RedLetterMedia. Visuals from: Alien vs. Predator (2004) All rights belong to 20th Century Fox. 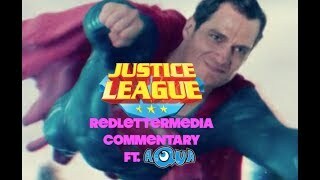 Support RLM: https://www.patreon.com/redlettermedia http://redlettermedia.com/ https://www.youtube.com/user/RedLetterMedia https://redlettermedia.bandcamp.com/audio Songs used T.T. 's Theme - David Wise Me Too - Meghan Trainor 14th August: The video was taken down for a two days because of copyright infringement. Works now, it seems. Mike, Jay & Rich Evans watch and discuss Masters of the Universe, a feature length toy commercial from 1987. Audio from https://redlettermedia.bandcamp.com/track/masters-of-the-universe-commentary-track Visuals from Masters of the Universe (1987) All rights belong to Cannon Films. Oh wait, they went bankrupt. Who own's this? Turns out it's Paramount, because they keep taking the video down. Support RLM https://www.patreon.com/redlettermedia https://www.youtube.com/user/RedLetterMedia http://redlettermedia.com/ https://redlettermedia.bandcamp.com/audio I had to edit out Pigboy because Paramount Pictures doesn't care about pigs or boys. Coldhearted people over there. I also had to edit out an interesting conversation about the economics and inner workings of Cannon Films. Thanks, Paramount! 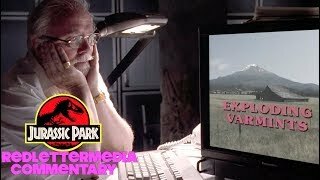 This a fan made visual presentation of the Red Letter Media Alien Commentary Track. 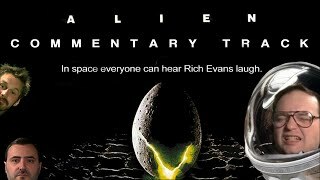 Be sure to check out the full commentary track at: https://redlettermedia.bandcamp.com/track/alien-1979-commentary-track This is a fan made project. I'm a huge RLM fan. I hope you enjoy this.